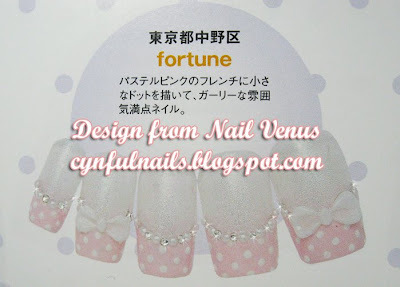 Saw this in Nail Venus some time ago. I actually did an exact set for my samples, but in red french tips with white polka dots. Looks equally pretty in red and good for CNY! I'll post the design soon. Purple is very sweet! A simplified version of the above.